For Millenia the inhabitants of Arctic Norway have lived by and for the sea. In the unforgiving northern landscape where the soil gives only meager means for survival, the men and women of this land lived to harvest the sea. In the Bronze and Iron Age, more than two thousand years ago, the Germanic culture and lifestyle spread through Scandinavia and across the Norwegian coast. Technological innovations brought by this new people included agriculture which soon became the most common occupation for the archeo-Norwegians. In the Arctic north though, the introduction of farming didn’t come as easy as in the south; the cold and barren lands that make up most of the landscape north of the 65th parallel were just not as productive and reliable as their southern counterparts. As a result the local inhabitants developed a hybrid lifestyle, mixing farming, small-scale animal husbandry, and quite a lot of fishing. This economic-cultural system, known as fiskebonder (‘fishermen-farmer’ in Norwegian) is believed to come all the way from the Viking age and was the only life most North-Norwegians knew until the Modern Period (1). The Nordlandsbåt, the traditional North-Norwegian fishing vessel, is a direct descendant of the Viking-age Longship. All kinds of fish were harvested by the inhabitants of the North-Norwegian coast: the hardy Haddock, the gourmet Halibut, the widespread Coalfish and even the terrifying Wolf-fish were all eaten and enjoyed in various ways along the coast. However, two fish had a more important economic significance: Herring and Cod. While Herring was most often consumed near its fishing grounds, it became a main for several North-Norwegian communities like the town of Bodø that focused on exporting the precious fish further south (2). Cod, however, has been fished, dried and exported as a commercial product in North-Norway probably since the early Middle-Ages. Some ancient saga-accounts even claim that this still very consequential industry already existed in the late Viking age (3). 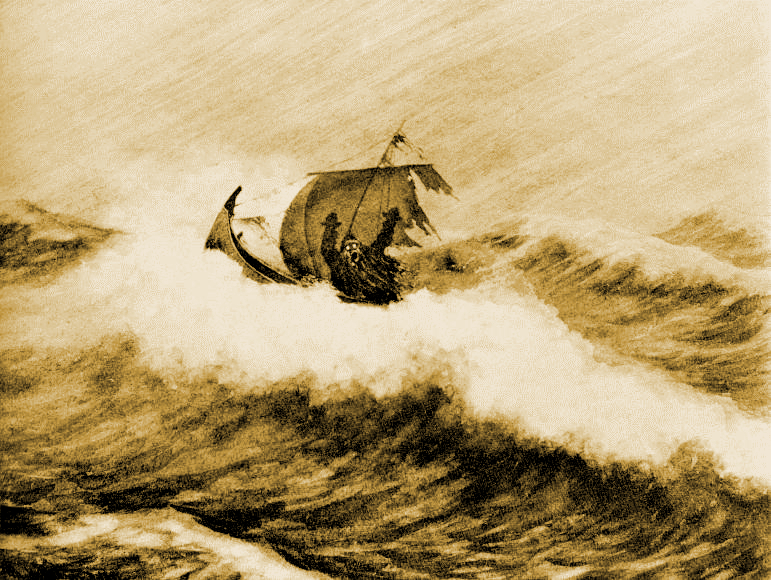 With so much time spent on the rough seas it comes as no surprise that the ocean has always been a strong source of fascination for North-Norwegians. The presence of some of the world’s most powerful sea-currents (chiefly around Lofoten) created a sense of dread among the fishermen who often feared perishing at sea and coming back to haunt their communities as a sea-borne ghost, the dreaded Draug. Other aquatic encounters could turn out much better though, as it is often the case with tales involving the rather curious race of the Merman, the male counterpart of the then yet unknown Mermaid (4). Generations of Arctic fishermen told tales of the wild, open sea. Most frightening of these is probably the one about the undead Draug. 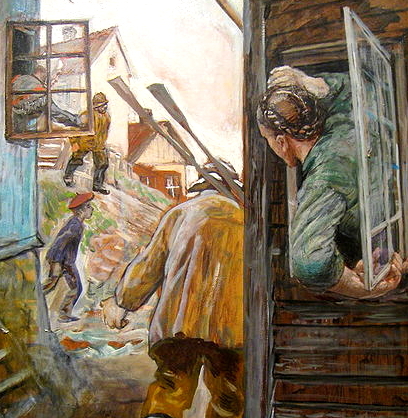 Even if most sons and daughters of North-Norway earn their living on land nowadays and rarely venture far on the blue ocean, fishing, or ´Harvesting the Sea´ as it is sometimes called here, is still a major part of the region’s culture and economy. This proud tradition and way of life will always be intimately tied to the very identity of this Arctic Land. (1) Røde, Gro (ed.). (1996). Guide to the History of Lofoten. Lofoten: Lofotrådet. (12-13) + (71). 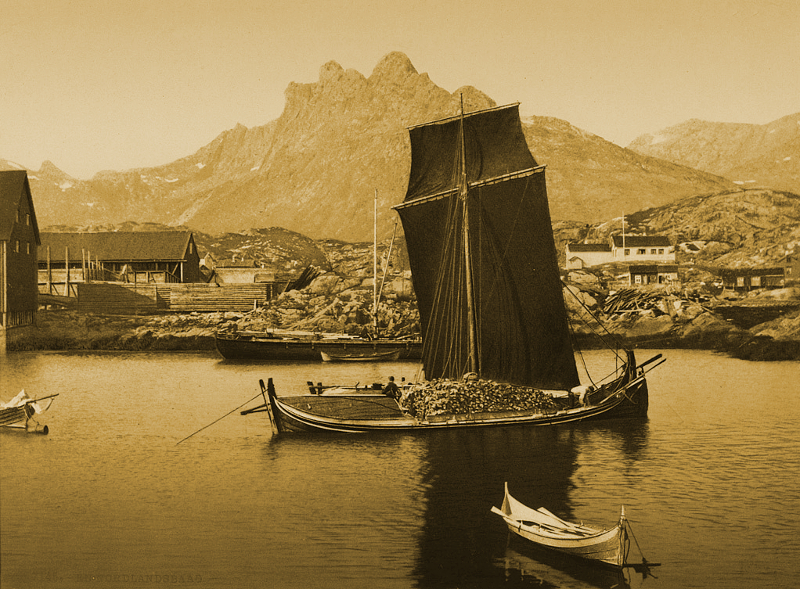 (2) Article on Bodø in the Norwegian National Encyclopedia. (3)Snorri Sturluson (1930). Kongesagaer. Oslo: J.M. Sternesens Forlag. (368). (4) Hauan, Anne Marit, “Narratives and folkbelief” in Håvard Dahl Bratrein (ed.) Northern-Norway – A Waz of Life Tromsø: Tromsø University Museum. (32 – 38). (I) Christian Krogh: Silda Kommer (´The Herring has Arrived’). Conserved at the Norwegian Maritime Museum. (II) A Nordlandsbåt near Vågan in the Lofoten. Picture taken between 1890 and 1900. Consevred at the National Norwegian Library. 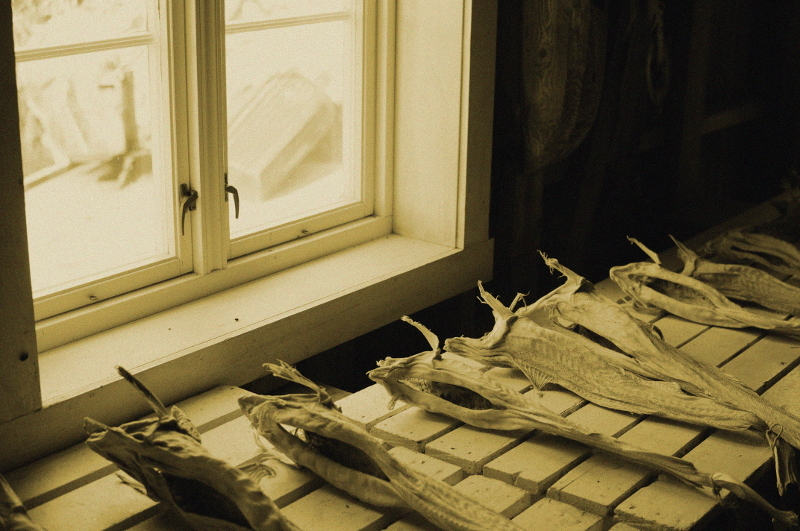 (III) Stockfish in Lofoten. Ⓒ Lyonel Perabo (2015). (IV) Theodor Kittelsen: Draugen. Date Unknown.